Nothing much going on on day 11. 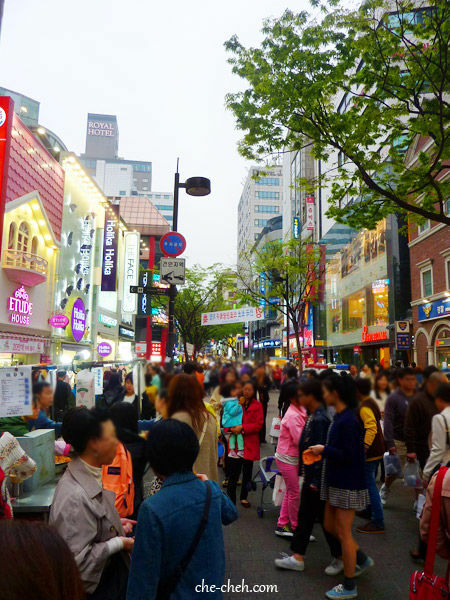 We spent the morning and afternoon at two markets and shopping at the famous district Myeondong later that day. 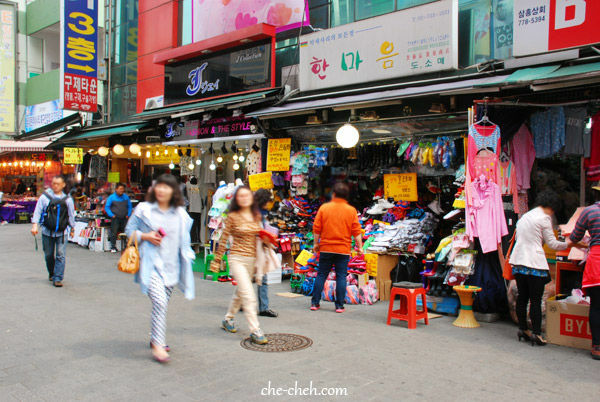 First thing first, we visited Bangsan Market which is just across the street from Gwangjang Market. If you’re a baker, then this market is for you. 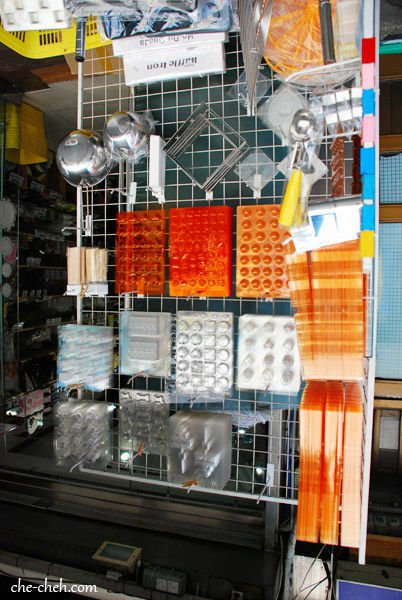 Do check out my full post and what I bought at Bangsan Market here. 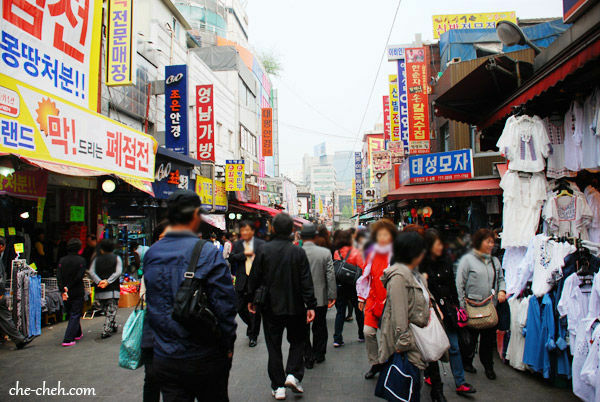 Next we went to Namdaemun Market, the largest traditional market in Korea. Don’t expect young and hip fashion find here. You won’t find it. 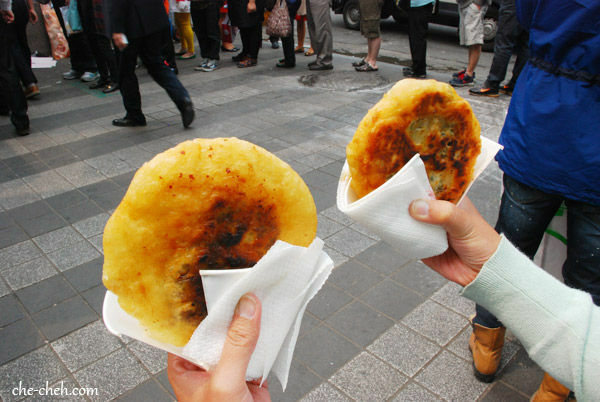 You gotta go Dongdaemun Market for that. We had an early lunch at a special alley called kalguksu alley (read my review here) in the market. Then it’s just aimlessly walking all throughout the market + shops. Spotted a hotteok stall which has very long queue. We joined in the queue. Bought two kinds of hotteok, one with honey and another one with yachae (vegetables+glass noodles). They were just okay. Other hotteoks I’ve tasted were much better than this. So I don’t know why there are so many people queuing for this hotteok. 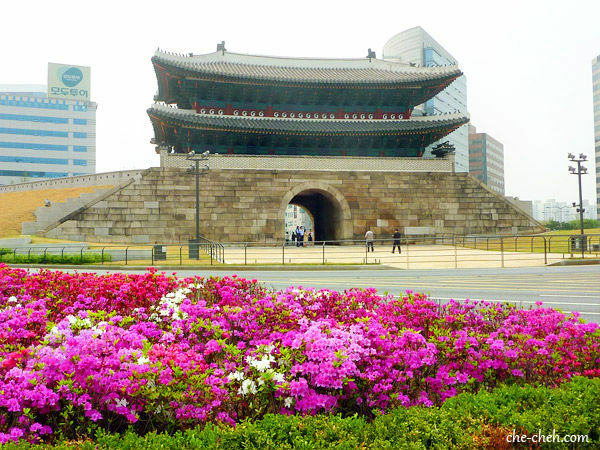 This is Namdaemun Gate 남대문 or also known as Sungnyemun Gate and is situated beside Namdaemun Market. 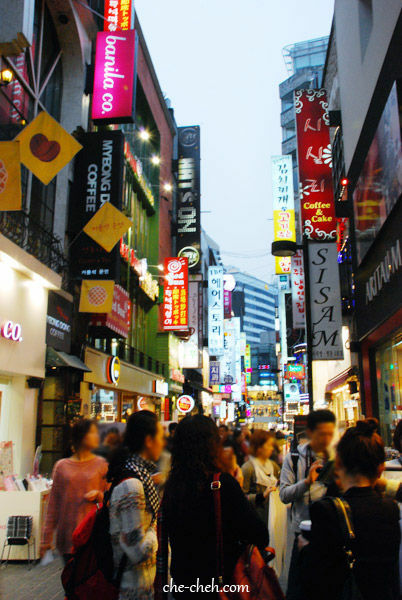 We went to Myeongdong at 3pm. It’s a very famous shopping destination. 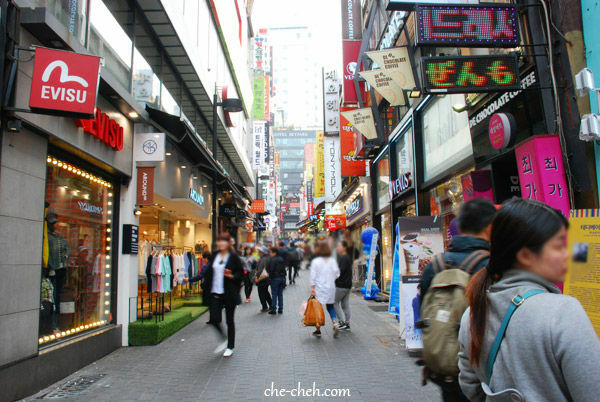 Personally I find most of Myeongdong fashion shops are just a little bit upscale compared to the one in Hongdae, Idae and Express Terminal Underground Shopping. Ohh btw in Myeongdong subway there is also Myeongdong Underground Shopping. 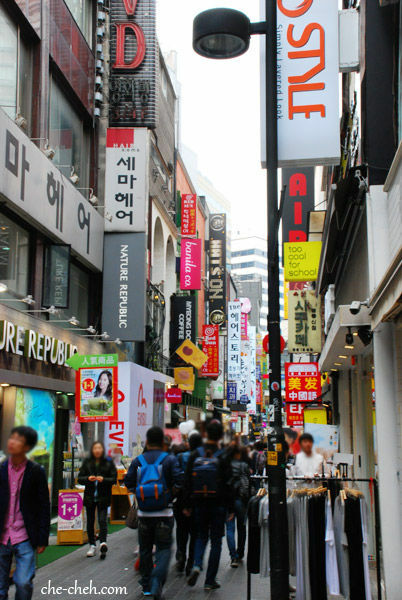 It’s true you can receive many free samples from the cosmetics shops here in Myeongdong when you purchase from the shop or just go into the shop. I only went into the Innisfree shop and bought stuff from them. Sure I received many free gifts. I feel like I’m cheating if I don’t want to buy anything and just go in to get the free gifts so I didn’t do it. One of the reason is because I pity those ladies standing outside the shop, drawing customer in. If I’m not a sincere buyer and just go in the shop to get free gifts… it feels like cheating. So yes, in the end the only free gifts I received are from Innisfree. At 5.30pm we had dinner at this fried chicken shop called Two Two Chicken. It’s a famous franchise fried chicken shop. We’ve seen many Korean shows showing how good Korean fried chicken are so we wanted to try some. 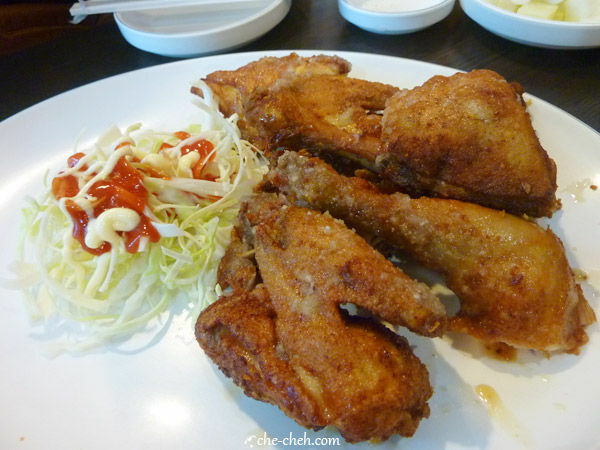 This is 6 pieces garlic chicken @ 16,000 won (RM48.00). Quite expensive. The taste so-so only. I’ve a feeling it has to do with the cook or shop itself than with the brand name. 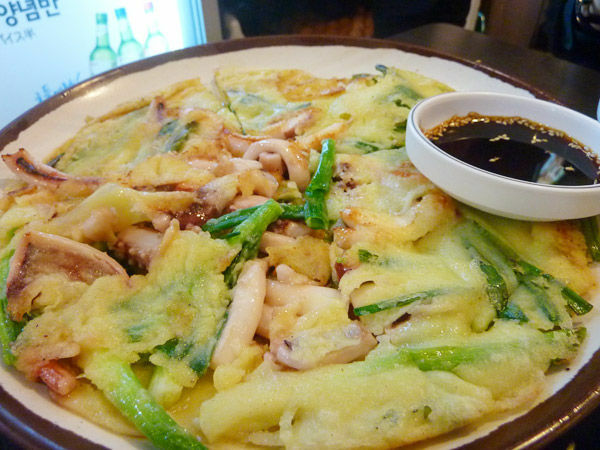 Not satisfied with our dinner, we went to the food area of Myeongdong for some snack. 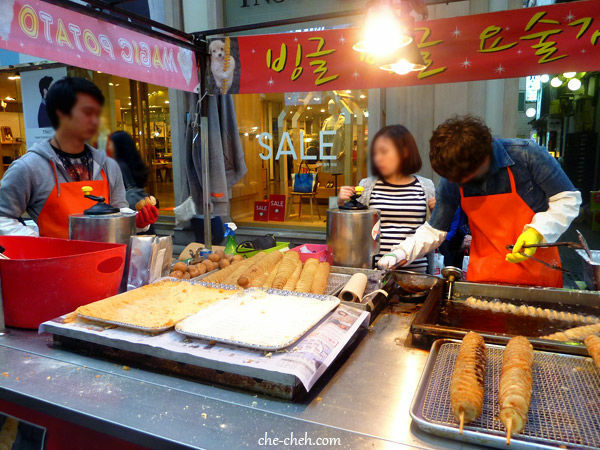 This shop is selling deep fried potato @ 2,000 won (RM6.00) per stick. I’ve seen many people eating this. Glad I bought it because it was so good! Thin and crispy. Yummeh. As the sun goes down, more and more people jam-packed the street of Myeongdong. Photos from Nikon D80 and Panasonic TZ-7. Wow! 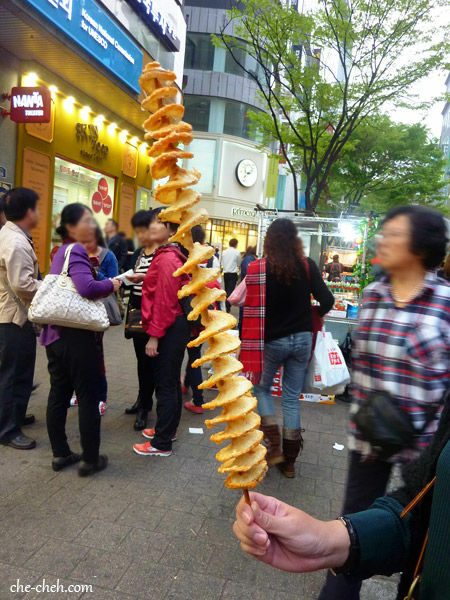 That deep fried potato so long! How to eat?? I saw it once before in Manila. A shop selling it in a shopping mall. Never mind about the cheating lah. You are a tourist can cheat a bit lah hahaha.